We are a national distributor, wholesaler, importer and manufacturer of fine foods, liquor, food manufacturing equipment and home/kitchenware. Our company is located in Adelaide, South Australia. We supply supermarkets, continental stores, restaurants, caterers, schools and aged care facilities. Our warehouse showcases all our products allowing buyers and prospective customers to come in and view our selection and quality. Gaganis Bros was established in 1971 by Paul Gaganis. Since that time, Paul has developed and grown the business into a national company with distribution throughout Australia. Paul's philosophy in operating the business is and always has been to "sell quality". 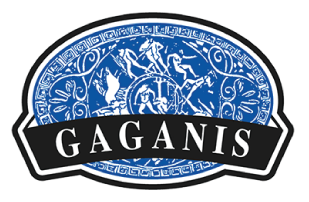 This philosophy has enabled the business to cement important and loyal relationships with suppliers, both in Australia and overseas, and to create brand loyalty with Gaganis Bros' products. Where do we source our products from? Our products are sourced from within Australia and overseas. We are exclusive agents for manufacturers located in Australia, Greece, Italy, Spain, China, Turkey, Denmark, Poland and Bulgaria. Our range of products also come from the US, Canada, Argentina, Brazil, New Zealand, the Middle East, Holland, Germany, Croatia, Serbia, India, Pakistan, Hungary and from throughout Asia (including China, Vietnam, Thailand and Singapore). A key part of our business remains dedicated to sourcing quality goods from within Australia. Our business focuses on selling Australian products such as flour and dry beans, dairy products and honey. Our manufacturing division includes producing Gaganis Nostimini, authentic Greek and Turkish style coffees, gourmet dips and garlic products.